If you’re undecided on my book, don’t listen to me – how’s about some heavyweight opinion from people who know what they’re talking about! If these esteemed names aren’t enough to convince you, how about five star reviews on Amazon? I hope this helps to illuminate and help you decide to add this to your book collection. 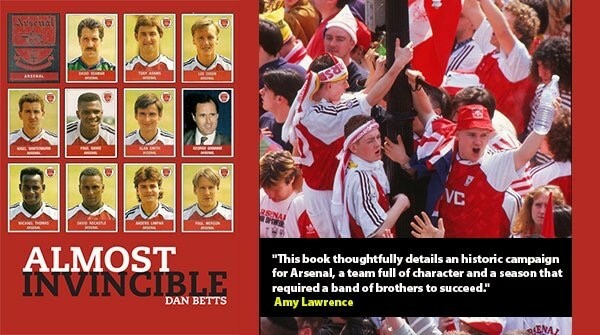 It tells a story all Gooners should hear.